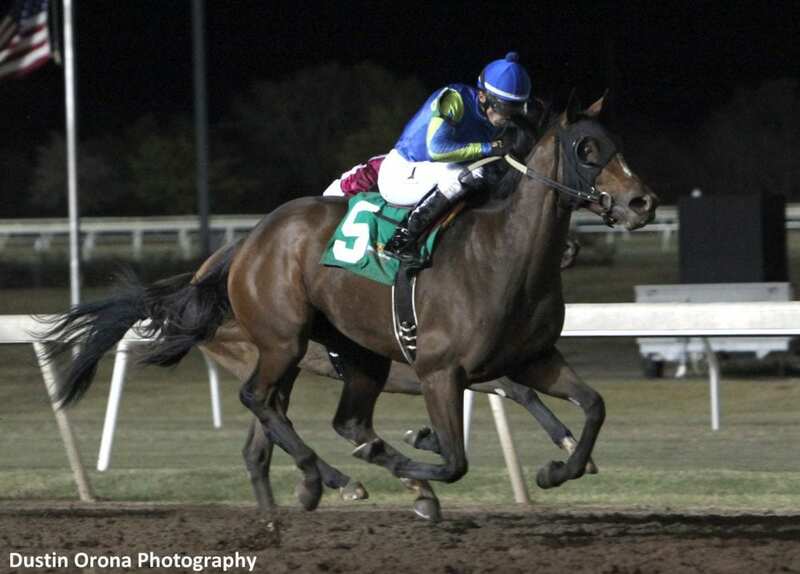 Shobiz Superstar, ridden by Leandro Goncalves, won the sixth race Saturday at Remington Park at odds of 110-1. The $223 resulting win payoff is the largest of the 2018 Thoroughbred Season. Shobiz Superstar, a daughter of Nobiz Like Shobiz, out of the Prospector's Music mare In the Band, is trained by Kari Craddock and was ridden by Leandro Goncalves in tonight's sixth race, a one-mile maiden allowance race on the main track. Shobiz Superstar had only two starts lifetime and she had trouble getting out of a gallop in those tries, finishing eighth twice, 17-1/4 lengths back and 11-3/4 lengths back of the winner in each race, but they were both on the turf course. She woke up on the main surface and cruised home a winner, holding off Okie Footnote (5-2 odds) by three-quarters of a length. The win that had bells and whistles going off in her backers' heads keyed several exotic wager payoffs of $1,000 or more. Remington Park had started the 46th racing night with payouts of four-figures or more 93 times. That increased to 101 times as there were eight exotic wagers worth $1,000 or more on Saturday night. This entry was posted in Horseplayers and tagged high odds, kari craddock, Leandro Goncalves, long odds, longshot, Nobiz Like Shobiz, Oklahoma, remington, remington park, shobiz superstar by Press Release. Bookmark the permalink.